Ricardo has supported Awesome Energy Dalriada Limited to implement an innovative connection to the local electricity distribution network as part of a 350kW hydropower scheme on the River Avich ­– which is predicted to provide £1.2 million worth of energy benefits to the local community over the next 20 years. 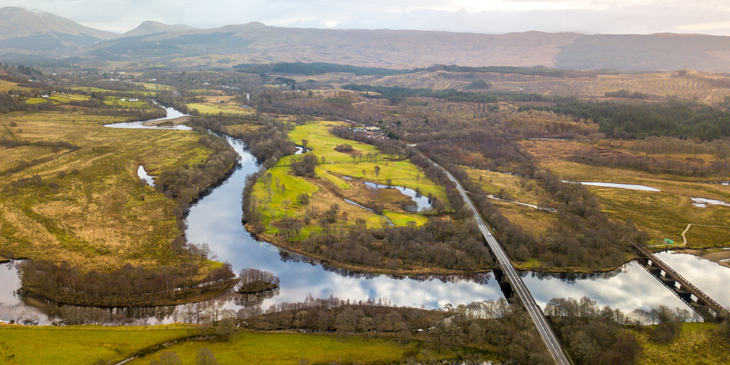 The Awesome Energy project is based in the village of Dalavich, in Argyll & Bute, Scotland, and is named in recognition of the local importance of Loch Awe. The system became operational in February 2018 and will provide a valuable revenue stream for the local community in the years ahead. The hydroelectric scheme is underpinned by an innovative private active network management (ANM) system. Ricardo identified this solution and supported each stage of implementation. The ANM overcomes the limitations of connecting to the local electricity network and was instrumental in making the scheme viable for investment. Connection of generators to the grid in Dalavich is restricted to 50kW until at least 2021. Relying on this connection capacity alone would have restricted the energy output of the hydroelectric plant, which means it would not have generated sufficient income from day one of operation to repay the scheme’s investors. The private ANM system uses electricity generation monitoring and control technology to identify the times when an existing grid connection is not being fully used by a generator. Unused capacity is then made available to another generator, in this case Awesome Energy’s hydro scheme, so that it can operate without restriction. Implementing the ANM provides a cheaper, quicker and more feasible option to handle the electricity output from the new generator than traditional capital-intensive efforts to increase grid capacity. Ricardo’s renewable energy team are working with several developers, distribution network operators and community benefit groups throughout the UK to identify and develop solutions to local energy generation and distribution.